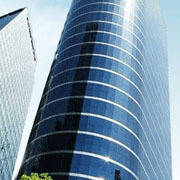 You are at: Home » Company » Hangzhou Neway Chemicals Co., Ltd. Located in Hangzhou City, Zhejiang, China, Neway Chemicals Co., Ltd. was established in 2001, which is a comprehensive manufacturer of active pharmaceutical ingredients and chemical intermediates. The core business expertise of the company includes research & development, synthesis, custom manufacturing and distribution of pharmaceuticals, fine chemicals, plant growth regulators, and various machineries involved in the pharmaceutical or chemical industry. Timely delivery of all products as per specifications of our clients is the hallmark of our service. We have gained a wide acceptance from our clients in the domestic and international market.